Apple Watch vs Android Wear: Which way to go? 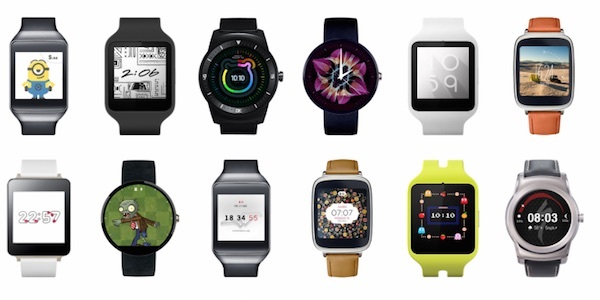 There are a lot of differences between the Apple Watch and Android Wear operating systems for wearables. These differences are quite noticeable in that both platforms vary tremendously in design. Apple Watch is centered on mobile applications while Android Wear focuses on cloud computing. But for most users, either of Android or Apple, they base their choice on the type of handset they use. However still, there are crucial factors to be considered when choosing between these two ecosystems. In some circumstances, a certain platform might offer solutions to your specific requirements. Still in other situations they might not. It means that there are applications that either Android Wear or Apple Watch might deliver and there are other applications that either of them can’t perform. How to make your option? For one, Apple’s wearable OS puts more emphasis on platforms and applications, thanks to the company’s tradition of developing mobile devices and PCs. The Cupertino giant’s revenues mostly come from the hardware it builds and markets to consumers and enterprises alike. So if you are more into apps, Apple Watch is for you. Meanwhile, Google’s Android Wear is anchored upon the virtualization of services via the cloud, owing a lot to the company’s longstanding business practice of providing services through the Internet. Google’s profits are generated indirectly by the content created by its hundreds of millions of users. It is now gradually working to bring the users’ attention to the Web from the physical device, although that does not necessarily come without its own share of difficulties. For example, Android Wear has more natural motion in terms of how its apps, in this case let’s take Google Now as an ideal example, deliver user interface. In contrast, the Apple Watch’s way requires users to do a lot of scrolling down and up to view messages. Google’s motivation is to provide services based on context since that’s where most of its revenues come from. Apple’s goal is to sell devices in order to propagate the adoption of its apps. There are various complexities also that come with using Apple Watch, not the least when you begin to use it on such devices as the Moto 360, as some users have observed. In other words, Apple failed to deliver on the contextual awareness and response areas, something that users have always wanted. But to be fair with Apple, the Watch platform provides a utility that is somehow absent in Android Wear, thanks to its app-centric approach, users have a wider range of capabilities offered by the Apple Watch.